Get ready for the first-time-ever AAU Spirit Week. AAU Spirit Week Fall ’16: Ready. Set. Let the fun begin! Everyone is on the hunt. Closing textbooks and leaving dorms, students of AAU gather to go on an adventure to find the legendary Medallion. Yet, the “Treasure Hunt” is just a warm-up to a series of events that stretches across the AAU Spirit Week from October 3 to October 9. The Spirit Week, the beginning of which was marked by the “Treasure Hunt” that started on September 12, comes across as a new concept to students. The whole week introduces an exciting competition among different academic Schools of AAU. The ultimate goal is to promote the flaming spirit of the university. Thus, the winning School will receive the traveling Spirit Trophy as a reward. For the whole week, from October 3 to October 9, AAU will hold a series of events, during which points will be given out to teams of different Schools. These points will gradually add up and the total score will determine the ultimate winner of the Spirit Week. The first event of the Spirit Week has already begun. So far, the first clue about the whereabouts of the “treasure” has been released, although no student has yet succeeded in the search. 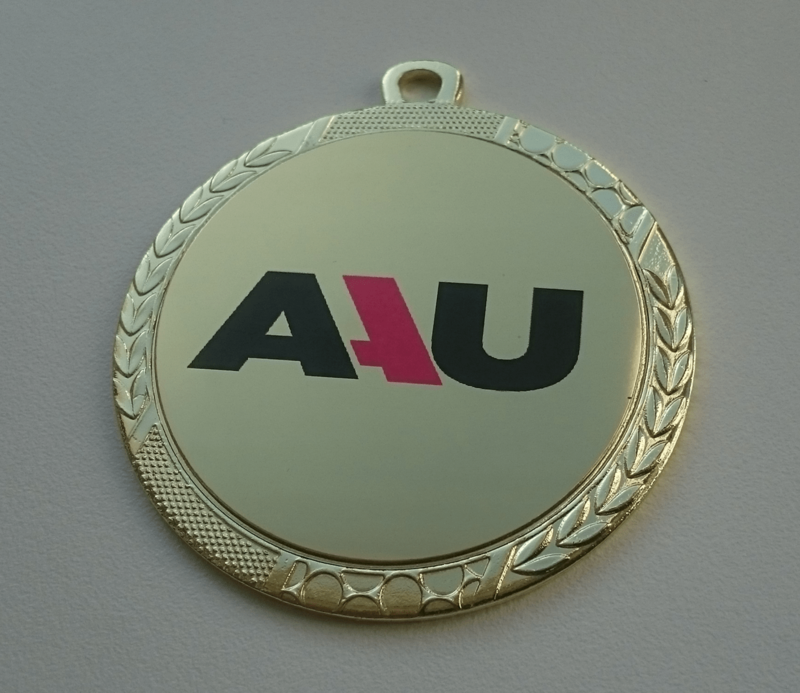 But never lose hope, the Medallion won’t be hidden from the brilliant minds of AAU students for too long. Somewhere in the mythical city of Prague, an ancient treasure is hidden. Meanwhile, look forward to the busy, joyful day of Club Fair on October 3. The Fair is an opportunity for you to step out of your comfort zone, make great friends, challenge yourself, and gain unforgettable experiences. You may know the big, well-known clubs that have organized various impressive activities, such as Program Board, Film Club, and Diplomatic Club; but pay attention to the newbies, too. New clubs, like Theater Club or Hiking Club present themselves with great ambition, creativity, and enthusiasm. 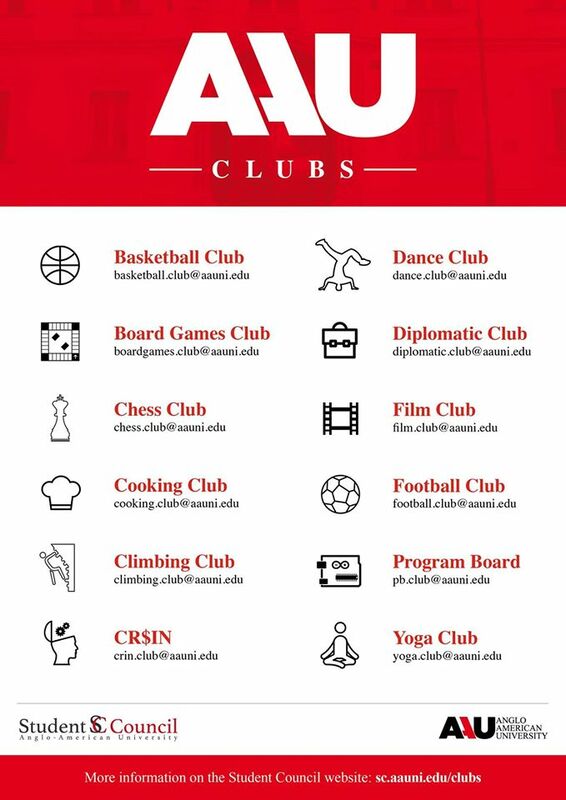 Show up at the Club Fair to participate in these amazing clubs and more. On the same day, the Chess Tournament for all the beautiful minds of AAU begins. Since the tournament has limited capacity, register in advance now with marco.pascucci@aauni.edu if you wish to join. What do AAU students do on Tuesday, October 4? We go to war! It’s time to dress up and see which School has the most spirit in this Color War. Put on the color of your School or team and show your pride by posting a picture on Instagram. Make sure to tag @aauprague and #AAUSpiritWeek. Step out of the war zone on Tuesday night and attend the exciting Quiz Night at Café des Taxis. Quiz Night warmly welcomes everyone, not just trivia whizzes. So join us to see which team will reign supreme, earn some points, and come one step closer to the Spirit Trophy. Register in advance with iveta.moravkova@aauni.edu, as the capacity is limited. Wish to be a master at networking? Suit up and show your skills at The Classy Business Mixer on October 5. Register now for the opportunity to mingle with AAU alumni, write an email to roman.shbat@aauni.edu. You cannot miss the event on October 6, a chance for the students to contribute to our community. This Thursday, AAU students eat to give. The meals they buy at Café des Taxis will raise money for Cooks Without Homes, helping homeless women equip their new bistro. The School that raises the most money, gets the most points. Bowling Night is up next on the same day. Register in advance with iveta.moravkova@aauni.edu to win a chance to become Kings of the Bowling Alley and collect points for your team. Surprise! It’s Friday already! Time for the Rocky Relay and International Day. Working out in the morning and enjoying food in the afternoon – sounds like the perfect plan for Friday. Register with roman.shbat@aauni.edu for the Rocky Relay and run 190 stairs up to Letná Park, Rocky Balboa style. “Run, Forrest, run!” Obviously, the early workouts deserve some reward later that day, so it is time for food. Join International Day for a vibrant feast with diverse cuisines introduced from potentially 60 different countries. Proud of your nation’s cuisine? Love cooking? You’re a food-lover that loves to try out new recipes? All the right reasons to show up on International Day, where students make the best specialties from their countries. Wait no more, because it’s weekend. 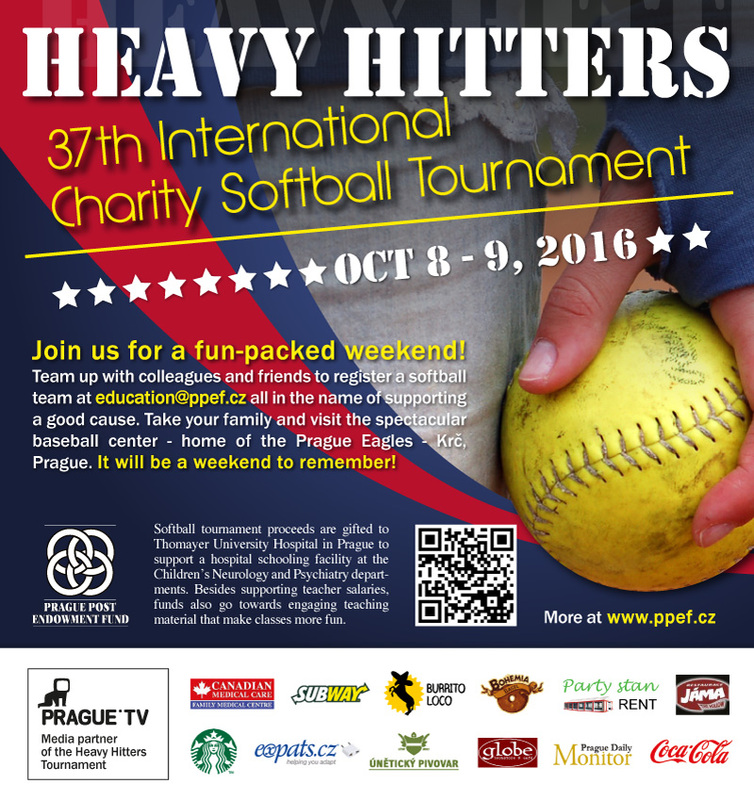 It is time for Prague’s 18-year-old tradition of Heavy Hitters International Charity Softball Tournament; the last chance to hunt the Medallion, and the most awaited one of all, the amazing Homecoming. Let’s show our spirit and create an AAU team to support a good cause. The money gained from the tournament will fund educational activities – Seminars for Teachers, Grab the Reader, the Best Teacher of English Award, and the Thomayer University Hospital school for long-term hospitalized children. Join the AAU team; it’s not about the skill, it’s about the flaming spirit of our AAU students. Make sure to register for the tournament beforehand with iveta.moravkova@aauni.edu, and the whole team will have a practice session before the games. Charity Softball Tournament, where AAU’s unbreakable spirit wins. Finally, the night we’ve all been waiting for: the Homecoming party – the grand finale. Here, the points collected throughout the week will reveal the winning team, which will get the honor of being the first to receive the AAU Spirit Week traveling trophy. Excited already? Follow the series of events of AAU Spirit Week on FB for latest updates and further information. For now, remember: the hunt for the Medallion – the first opportunity to earn some points for your team – is still ongoing! Photo courtesy of Student Council.